Some of the products - Maybelline Baby Skin Instant Fatigue Blur Primer in 'Cool Rose' (£7.99), Rimmel Stay Matte Powder in 'Transparent (£3.99) and Garnier Ultimate Blends The Sleek Restorer Shampoo (£2.79) and Natural Collection Moisture Shine Lipstick in 'Cherry Red' (£1.99) - were repurchases. The 'new' items I purchased were the Tresemme 7 Day Smooth Heat Activated Treatment (£6.99),Maybelline Lash Sensational Mascara (offer price £5.99),Rimmel Scandaleyes Shadow Stick in 'Bluffing' (£4.99),Rimmel Brow This Way Styling Gel in 'Clear' (offer price £2.99) and Maybelline Brow Drama Sculpting Mascara in 'Dark Brown' (£4.99). 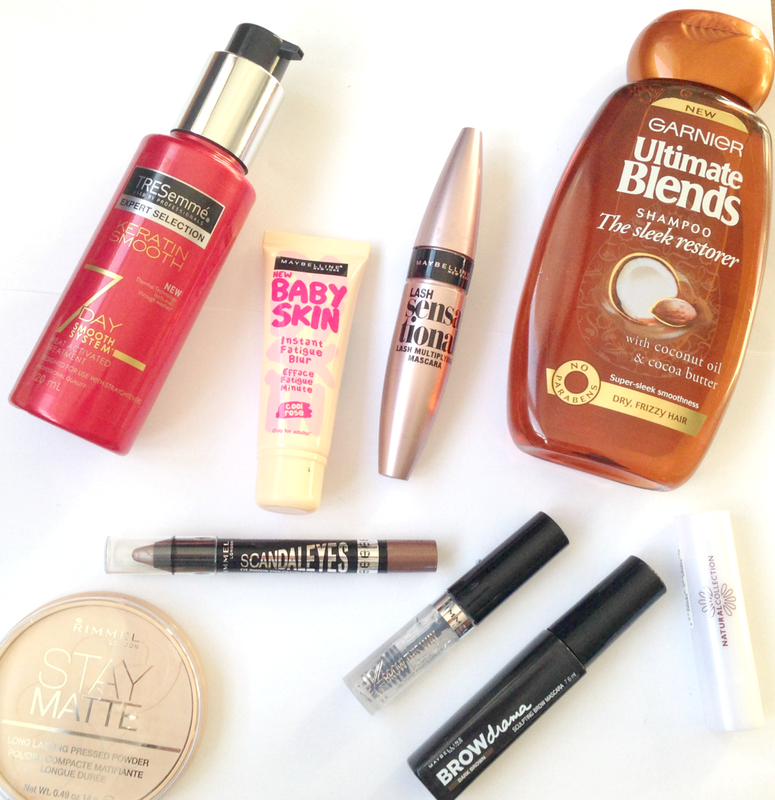 Have you bought any new beauty bits recently?